Insights On Companies Hiring In London You Can Apply To Today! They say it’s hard to get a job in London. “They” simply don’t know where to look. Our team at London Relocation is helping people from all over the world with their move to London on a daily basis. We talk with our clients over a cuppa. We share experiences and insights. 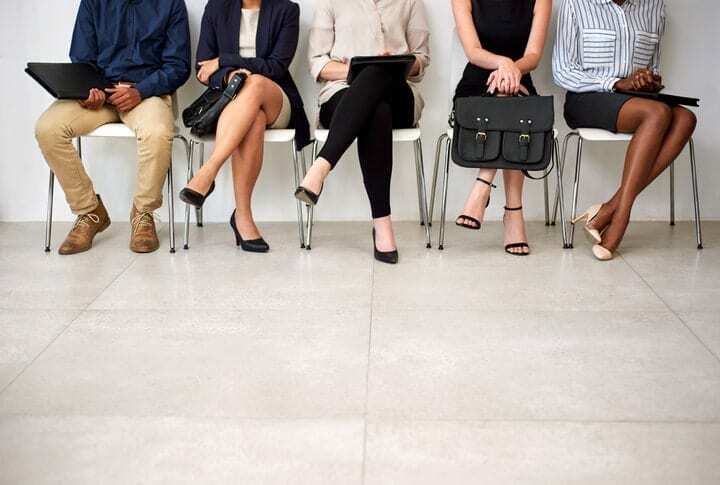 But, more importantly, we learn a lot of useful information from the first hands, such information being the data on which companies are hiring right now and which of them seem more attractive than others. Without further ado, I present to you the list of insights on amazing companies that are currently hiring in London. Harrods, a company founded back in 1834 has managed to keep their mojo even today. They are proud of annual revenues that are close to a Billion and their slogan “be exceptional, #beharrods” really fits the brand like a glove. Harrods aims high as they wish to become the world’s leading department store that specializes in luxury brands and, dares I say it, the guys are pretty darn close. Not only is the company rather large and fancy, but it seems like a great place to work for people. As far as we have heard, the atmosphere there is rather friendly and casual (which is rare for London) and the employer provides a chance for a well-managed work-life balance. Success starts here, say the people working at Peninsula, one of the leading providers of Legal Services in the entire United Kingdom. Peninsula was founded in 1983 and it is headquartered in Manchester, England. The company specializes in Employment Law, Safety and Health and they have an impressive record of accomplishment of more than 32,000 businesses they’ve already helped. You will have to be exceptionally skilled in both Legal and HR to get a job with Peninsula but the game is worth the candles. Our little birds have told us that the staff benefits and career opportunities here are out of this world! A company that knows how to do business and cares about the environment? Count me in! Founded in 1872, Unilever is home to such world-known brands as Dove, Axe, Lipton, and Knorr. Their annual revenue is way above 10 Billion and them employees here, in London, seem to be as happy as a clam. If you wish to be a part of something big like a company that homes to more than 400 brands and clients all over the world and that is not a corporate monster that destroys everything it touches to simply gain more profit but rather cares about the community, you’ve come to the right place. Royal London is a large, privately-held company that specializes in pensions, investments and mutual life assurance. Their yearly revenue is close to 5 billion, they employ more than 3,500 people and they have helped 6 million customers since 1861. It is also good to know that Royal London’s model means that the company is owned by its customers. There are no shareholders, meaning that the business interests and the interests of the clients are always the same. You will get a great chance to help people and actually make a difference here. As for other bright sides for employees of Royal London, we may say that they have a great, roomy office. Employee benefits are also nice and so is the environment in the company. Metro Bank is a relatively new company if compared to some other members of this list. It was founded in 2010, but don’t let its age fool you. The guys have brought an actual revolution to the British banking system since day 1. The company aims to acquire 2 million customers by 2020 and you can help them get there today. Metro Bank, by the way, is one of the few banks in the UK and the world that don’t just have clients – they have fans of the service. What’s in it for you? For starters, we are talking Great career opportunities here. Yes, from a capital “G”. 25% of the employees who have been with Metro Bank for over a year have been promoted in that year’s notice. The benefits are also nice and so is the office space. As technology progresses forward and convenience is relying heavily on handheld devices today, Metro Bank is mostly hiring IT specialists, developers and fintech engineers right now. 13,000+ employees, more than 80 million passengers per year flying to over 800 destinations from all around the globe are just a tip of an iceberg when it comes to achievements of this top 100 FTSE company. A great combination of adequate costs and great value has made easyJet a formidable player on many markets London being among of the primary ones. The best part is that you don’t need to be a pilot to work here. The company is Looking to fill many vacant positions from Data Engineers to analysts to marketers. The obvious bright side of working at an airlines company is the travel benefits. The compensation package is also quite nice here as well. So, if you are looking for some sky-high opportunities in London, easyJet is your go-to place for finding them. Ha-ha. Sky-high opportunities. Because they are a plane company, get it?.. I guess I’ll stop with the puns. Ok guys, your turn now. Are you new to London or already have the experience of living here? In either case, feel free to share your ideas about some of the best local employers. I am sure you will help someone with your insights. You can share your thoughts under this post or you can go to our Facebook page and hang out there.